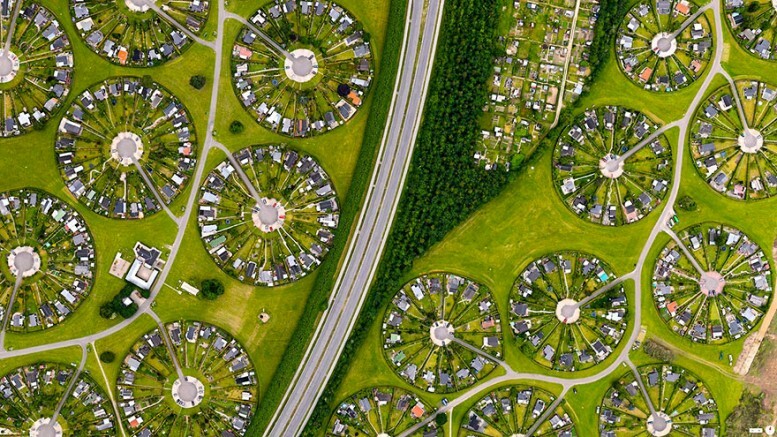 Satellite photos are certainly not mundane affairs – as proven by this list of breathtaking specimens captured from space. 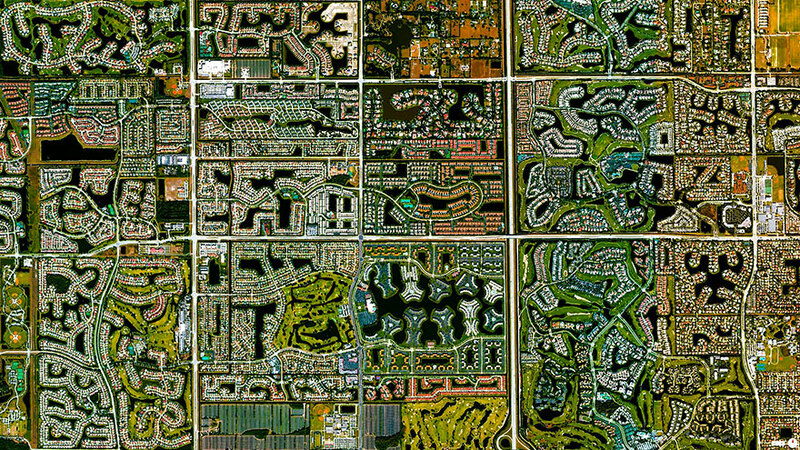 The interesting part is how the most of the images exhibit both man-made endeavors and natural landscapes; the ultimate fusion that incredibly unveils the glorious side to our planet. 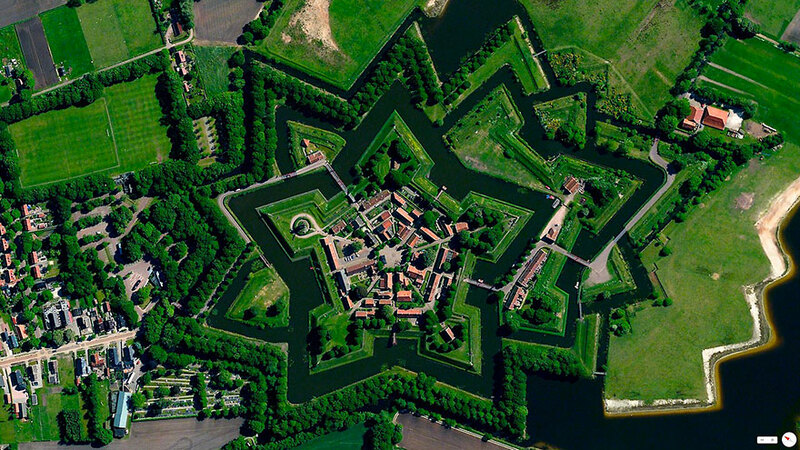 A village with just a population of 430 people, the ‘star’ attraction in this rustic site is easily the star-shaped Fort Bourtange that was constructed more than 420 years ago. Currently, fort serves as an open-air museum with its cascades of star-replicating landscaping. A 19th century specimen in a modern metropolitan urbanscape, the Central Park was designed and opened way back in 1857. 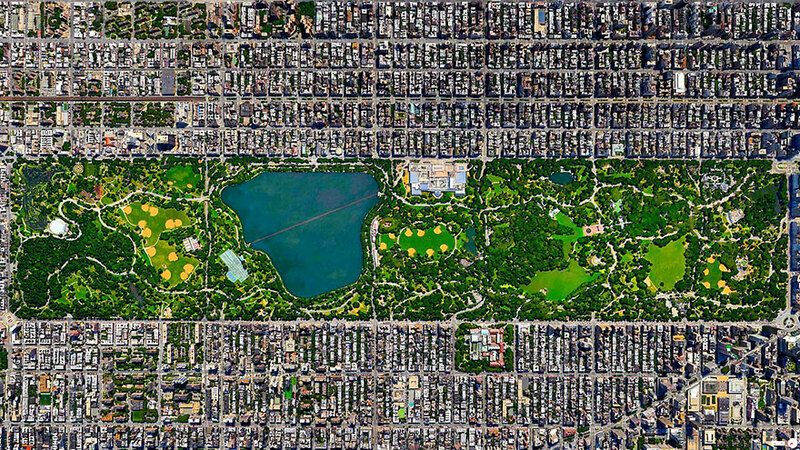 Currently, the ‘green belt’ boasts of 843 acres of area that proudly cuts its wide swathe through the glistening man-made skyscrapers of Manhattan. 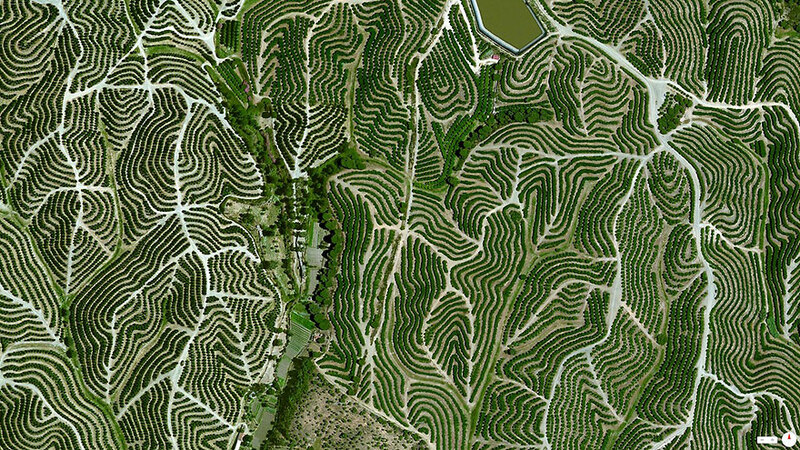 Located in the paradisiacal hills of Huelva, in the south-eastern part of Spain, these vineyards are officially under the designated Denominación de Origen (DO) for wines. The total area goes over 6,000 hectares with a capacity to grow 40 million kg of grapes – an expansive wine-making scope that employs more than 3,000 people. 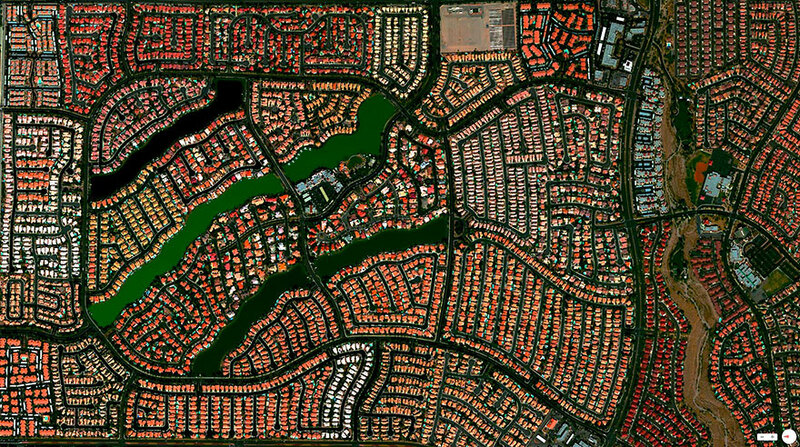 A proximate housing neighborhood of the Sin City, the Desert Shores Community comprises of 3,351 units of habitation that are accompanied by at least four man-made lakes. 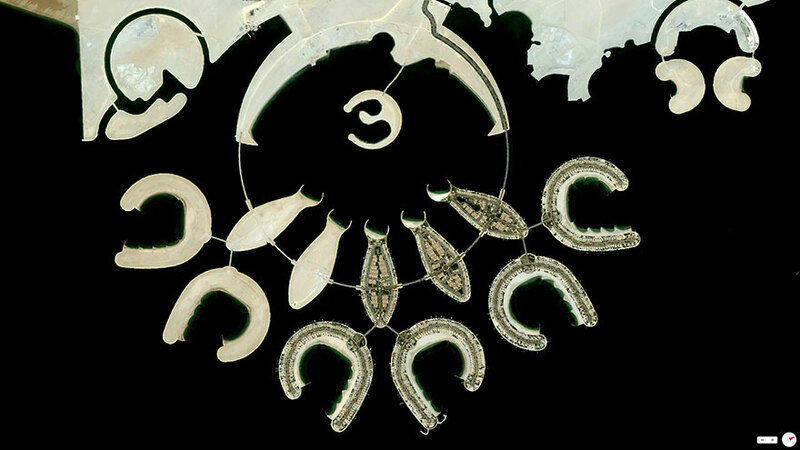 The second largest artificial landmass of the tiny nation of Bahrain, the Durrat Al Bahrain is envisaged as a $6 billion project that would initiate the construction of 15 connected man-made islands. These landmasses would comprises of various shapes and sizes – with the collective area accounting for over 20,000,000 sq m (or 220,000,000 sq ft). A rather sad overview that clearly shows the human ‘inroads’ made into the lust Amazonian jungle cover of Para in Brazil. 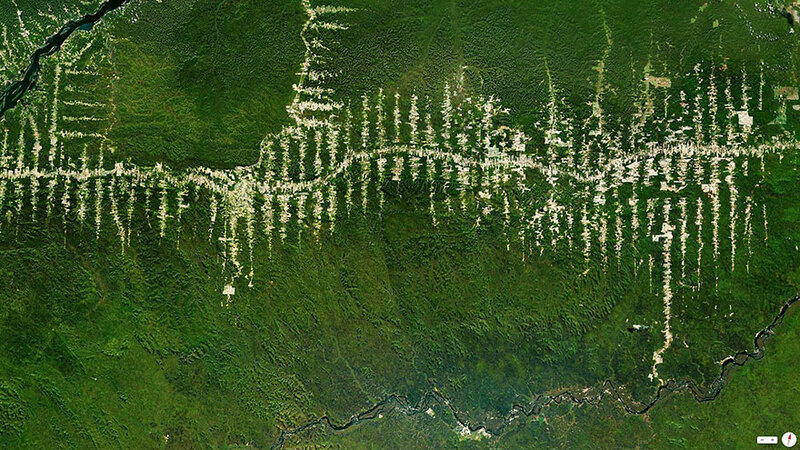 These deforestation patterns emerges from a central road that is actually one of the state-sponsored communication links into the rain forest. Located in Florida’s Palm Beach county, the coastal town of Boca Raton with its 84,000 population, is rather renowned for its affluent social community and generally high-income group residents. 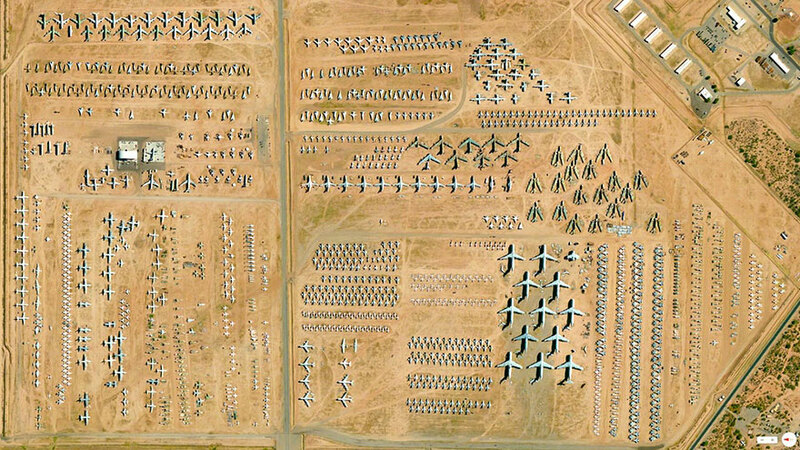 Colloquially called the ‘Boneyard’, the 309th Aerospace Maintenance and Regeneration Group (AMARG) is a United States Air Force facility used for parking and storing aircraft and missiles. Unveiled after the Second World War, the 309th AMARG is actually the world’s largest aircraft storage facility, with its impressive capacity to hold over 4,400 planes! A gargantuan complex that covers 7,500 acres of both land and water, the Port of Los Angeles proudly flaunts its 43 mi (69 km) of waterfront with the Pacific Ocean. 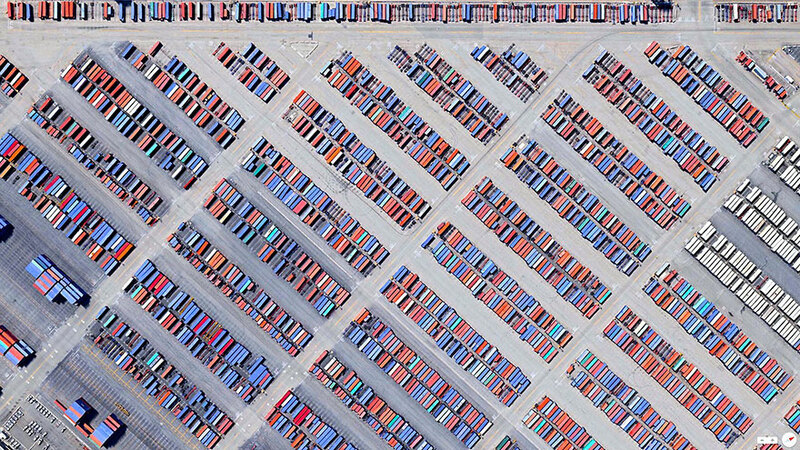 As can be comprehended from these impressive figures, the site is unsurprisingly the busiest container port of United States – a facility which employs over 1,000 people. 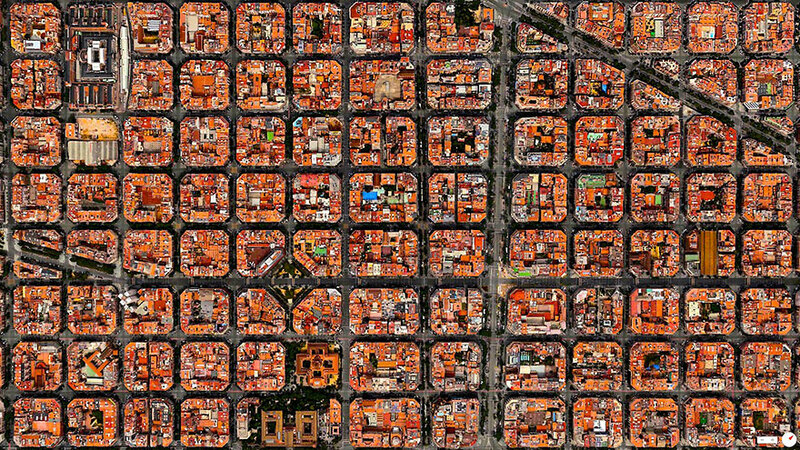 The second largest city in Spain and the capital of autonomous Catalonia, Barcelona originally started out as a Roman settlement. The city boasting of a rich cultural heritage, has also preserved some its grid-patterned plans after the flurry of the momentous Renaissance through most of Europe.